He forgives and forgets our sins — but he remembers us! The practice of these mixed marriages, in open neglect or violation of the law, had become so common, that even the priestly house, which ought to have set a better example, was polluted by such an impure mixture. 2because they did not meet the Israelites with bread and water, but hired Balaam against them to curse them—yet our God turned the curse into a blessing. 3When the people heard the law, they separated from Israel all those of foreign descent. 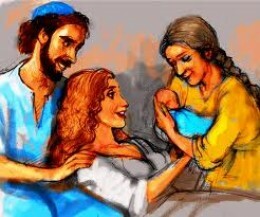 But we remember that Ruth, King David’s great-grandmother, was a Moabite. God turned her, you could say, into a blessing! 4Now before this, the priest Eliashib, who was appointed over the chambers of the house of our God, and who was related to Tobiah, 5prepared for Tobiah a large room where they had previously put the grain offering, the frankincense, the vessels, and the tithes of grain, wine, and oil, which were given by commandment to the Levites, singers, and gatekeepers, and the contributions for the priests. 6While this was taking place I was not in Jerusalem, for in the thirty-second year of King Artaxerxes of Babylon I went to the king. 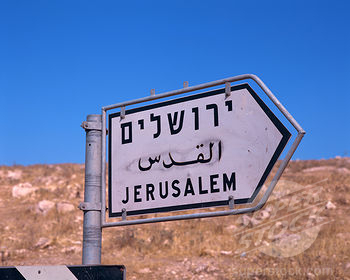 After some time I asked leave of the king 7and returned to Jerusalem. I then discovered the wrong that Eliashib had done on behalf of Tobiah, preparing a room for him in the courts of the house of God. This section indicates that Nehemiah left Jerusalem and went back to his duties in the Persian court. He was gone from Jerusalem for anywhere from 10 to 12 years. Nehemiah had left sometime after the remarkable spiritual revival noted in the recent chapters. But the real test of revival – the real test of God’s work in our lives – is the long term. It is seeing where we are with the Lord ten years after a season of great work. When Nehemiah came back, he saw that Eliashib the priest had entered into agreements with one of the enemies of Nehemiah’s work of rebuilding the wall – the man named Tobiah. Incidentally, Tobiah was an Ammonite (Nehemiah 2:10) – one of the very mixed multitude that had been put out of the assembly of God’s people some 10 years before. At this point in the record of Nehemiah, Tobiah was not only present among the assembly, he actually rented rooms in the temple courts. 8And I was very angry, and I threw all the household furniture of Tobiah out of the room. 9Then I gave orders and they cleansed the chambers, and I brought back the vessels of the house of God, with the grain offering and the frankincense. 10I also found out that the portions of the Levites had not been given to them; so that the Levites and the singers, who had conducted the service, had gone back to their fields. 11So I remonstrated with the officials and said, “Why is the house of God forsaken?” And I gathered them together and set them in their stations. 12Then all Judah brought the tithe of the grain, wine, and oil into the storehouses. 13And I appointed as treasurers over the storehouses the priest Shelemiah, the scribe Zadok, and Pedaiah of the Levites, and as their assistant Hanan son of Zaccur son of Mattaniah, for they were considered faithful; and their duty was to distribute to their associates. 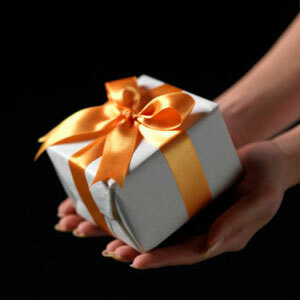 The people did not obey God’s word regarding giving. Because of the lack of support, those who should give their time to the service of God and His people (the Levites and the singers) could not – and they had to leave that service (had gone back to their fields). The lack of giving was a way of forsaking the house of God. It wasn’t just unhelpful to the Levites and the singers; it was a way of turning their back on God. Nehemiah set the situation right by expecting the Levites and the singers to recommit to the work of serving God and His people as they should. He also reorganized the collection, accounting, and distribution of the people’s tithes and gifts. 14Remember me, O my God, concerning this, and do not wipe out my good deeds that I have done for the house of my God and for his service. 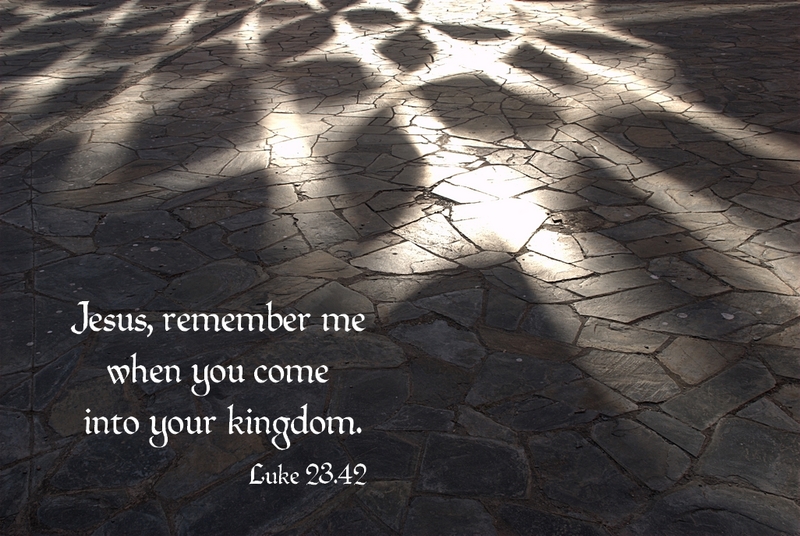 HERE is “Jesus, Remember Me” — such a simple, profound song. The Sabbath was being ignored in disobedience to God’s clear command under the Old Covenant. On the Sabbath day when they were supposed to rest and trust God, foreigners sold, and the people of Israel bought. At the root, this was a problem of priorities. There was nothing wrong with buying and selling, only when the desire to buy and sell, to make money or spend money, became more important than honoring God. This was a clear way the people of Israel put making and spending money before glorifying God. The New Testament makes it clear we are not under the law of the Sabbath in the same sense Israel was under the Old Covenant (Colossians 2:16-17); but we are certainly under the same obligation to make honoring God more important than making money or spending money. 19When it began to be dark at the gates of Jerusalem before the sabbath, I commanded that the doors should be shut and gave orders that they should not be opened until after the sabbath. And I set some of my servants over the gates, to prevent any burden from being brought in on the sabbath day. 20Then the merchants and sellers of all kinds of merchandise spent the night outside Jerusalem once or twice. 21But I warned them and said to them, “Why do you spend the night in front of the wall? If you do so again, I will lay hands on you.” From that time on they did not come on the sabbath. 22And I commanded the Levites that they should purify themselves and come and guard the gates, to keep the sabbath day holy. Remember this also in my favor, O my God, and spare me according to the greatness of your steadfast love. 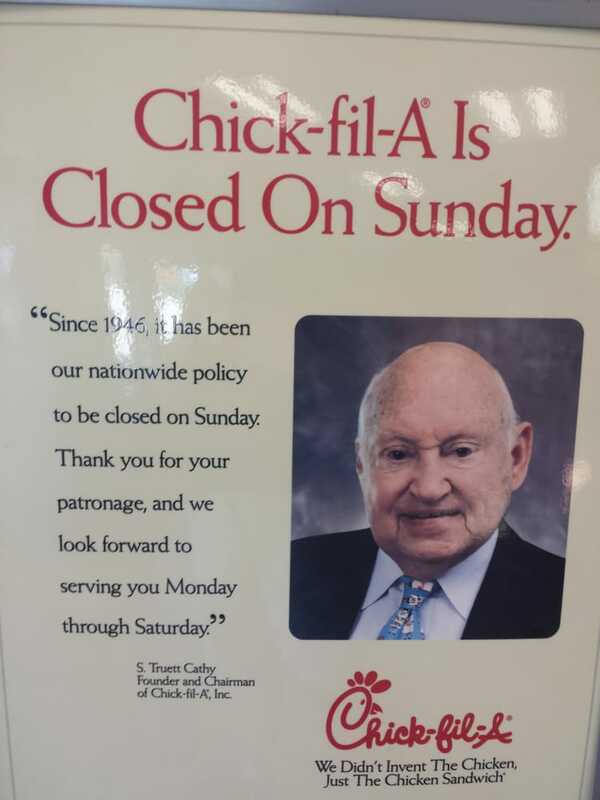 Q: Chick-fil-A restaurants are closed on Sundays. Have you felt pressure to reconsider that policy? A: There have been times that we have reaffirmed that decision. We’re located in some theme parks, but we’re not in all theme parks and a lot of stadiums because we would be required to open on Sundays. We’ve forfeited a lot of business opportunities because of that policy. 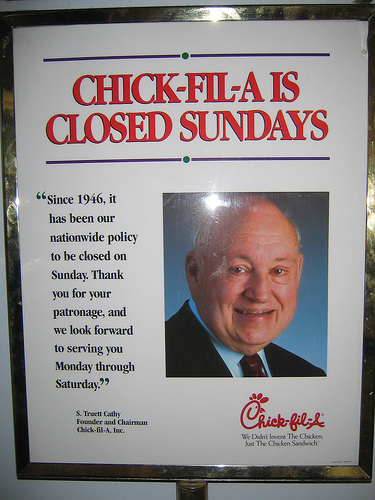 But I like to tell people that our food tastes better on Monday because we’re closed on Sunday. What really drives us to do this? It’s a very simple statement: To glorify God by being a faithful steward of all that is entrusted to us. In the years Nehemiah was away the Israelites had resumed their practice of intermarrying with the pagan nations surrounding them. This was in dramatic disobedience to God’s command. From this strong reaction of Nehemiah, we gather he considered this to be the most dangerous of their sins – pursing ungodly romance, and getting involved in romantic relationships God had said “no” to. And his example of Solomon is well taken. If Solomon, one of the wisest and most blessed men ever, sinned with unwise and ungodly romance then no one else should consider themselves invulnerable. 28And one of the sons of Jehoiada, son of the high priest Eliashib, was the son-in-law of Sanballat the Horonite; I chased him away from me. 29Remember them, O my God, because they have defiled the priesthood, the covenant of the priests and the Levites. At the end of it all, Nehemiah knew he did his best to make the people of God strong, safe, and secure. Beyond that, he also led them to be pure, worshipful, and obedient. 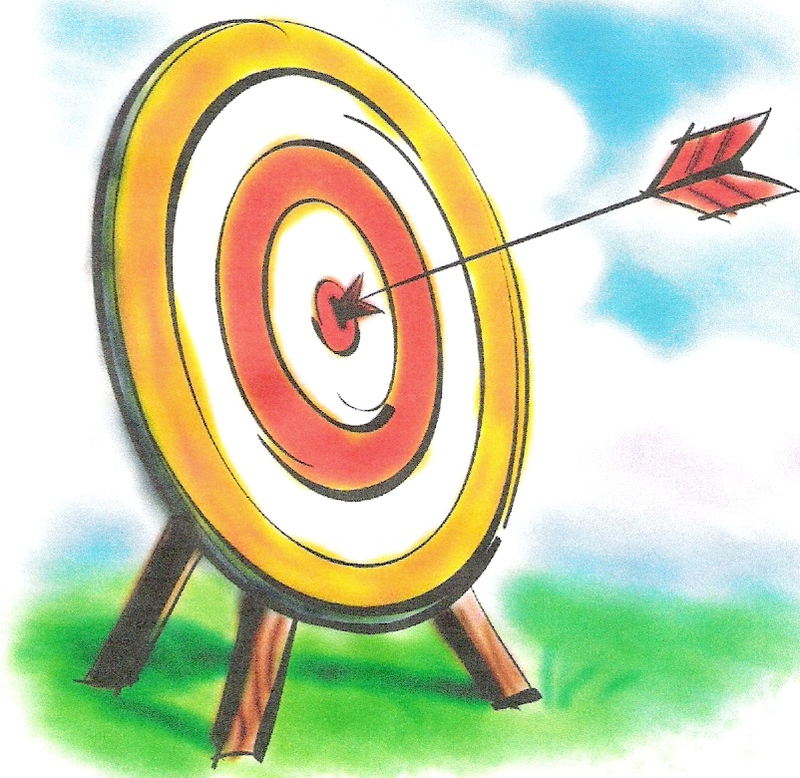 Yet, Nehemiah certainly carried a sense of failure. In Nehemiah 10 the people made a solemn covenant to God that they would do three things: not have ungodly romantic relationships (10:30), not buy and sell on the Sabbath (10:31), and support the work of God with money as He commanded (10:32-39). Nevertheless, in Nehemiah 13, some 10 to 12 years later, Israel was steeped in the exact sins they vowed to stop. Nehemiah had to address the problems of ungodly romantic relationships (13:23-31), buying and selling on the Sabbath (13:15-22), and failing to support the work of God as He commanded (13:10-14). In Nehemiah 10:39 the people promised: we will not neglect the house of our God. But later in Nehemiah 13:11, Nehemiah had to ask: Why is the house of God forsaken? It was forsaken because Israel did not keep its promises before God. This makes a point vividly clear: the law – that is, rules, vows, promises, covenants, and the such, are all ultimately powerless to stop sin. Only the grace of God, alive and flowing in our lives, can give us the power to truly overcome sin. Paul expresses this in Romans 8:3, among other places: For what the law could not do in that it was weak through the flesh, God did by sending His own Son in the likeness of sinful flesh. 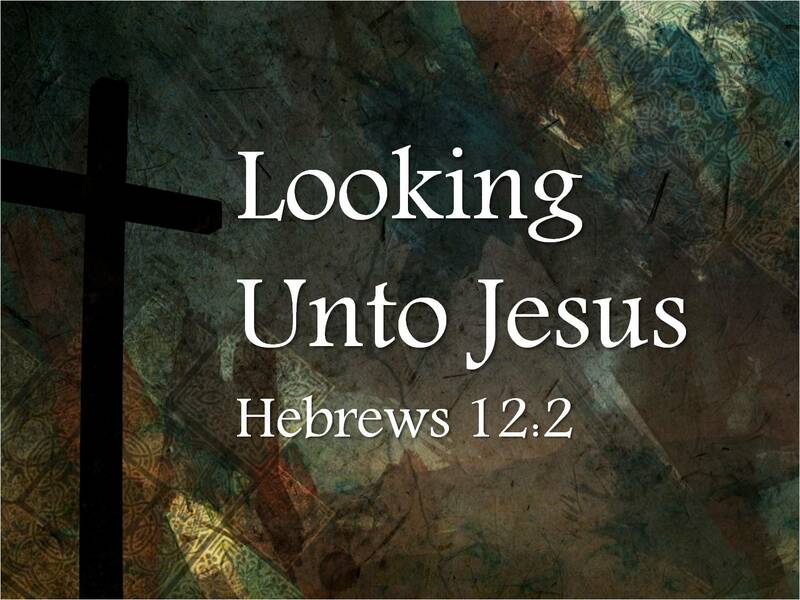 Too many Christians look for victory in the making of rules, of vows, of promises – and fail to find it, because all those things tend to make us look to ourselves, instead of looking to Jesus. The Old Testament history of Israel, from beginning to end, illustrates this. 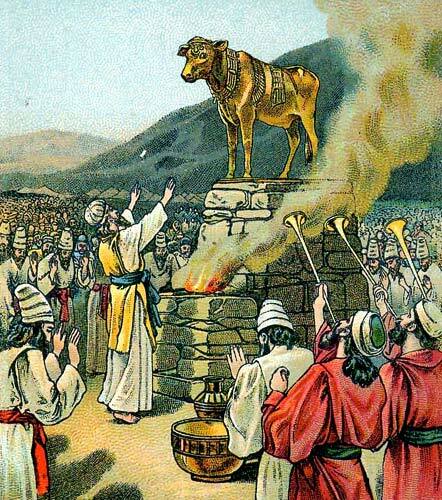 When the nation was first born at the Exodus, despite the most spectacular miracles, displays of God’s glory, and revelation of the law, the people sinned, by crediting a gold calf with their deliverance from Egypt! 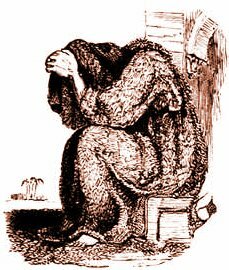 And now here, at the end of the Old Testament history of God’s people in the promised land, Nehemiah is pulling hair out — his own and those of sinners — because they couldn’t keep their promises to God. If we could be saved by our own promises, by our own commitment to Jesus, then His death would have been noble, but unnecessary. We aren’t saved by some vow we make, or some leaf we turn over, but by trusting in who Jesus is, and what He has done to save us. The End of the book of Nehemiah. These are the priests and the Levites who came up with Zerubbabel son of Shealtiel, and Jeshua: Seraiah, Jeremiah, Ezra, 2Amariah, Malluch, Hattush, 3Shecaniah, Rehum, Meremoth, 4Iddo, Ginnethoi, Abijah, 5Mijamin, Maadiah, Bilgah, 6Shemaiah, Joiarib, Jedaiah, 7Sallu, Amok, Hilkiah, Jedaiah. These were the leaders of the priests and of their associates in the days of Jeshua. 8And the Levites: Jeshua, Binnui, Kadmiel, Sherebiah, Judah, and Mattaniah, who with his associates was in charge of the songs of thanksgiving. 9And Bakbukiah and Unno their associates stood opposite them in the service. 10Jeshua was the father of Joiakim, Joiakim the father of Eliashib, Eliashib the father of Joiada, 11Joiada the father of Jonathan, and Jonathan the father of Jaddua. 12In the days of Joiakim the priests, heads of ancestral houses, were: of Seraiah, Meraiah; of Jeremiah, Hananiah; 13of Ezra, Meshullam; of Amariah, Jehohanan; 14of Malluchi, Jonathan; of Shebaniah, Joseph; 15of Harim, Adna; of Meraioth, Helkai; 16of Iddo, Zechariah; of Ginnethon, Meshullam; 17of Abijah, Zichri; of Miniamin, of Moadiah, Piltai; 18of Bilgah, Shammua; of Shemaiah, Jehonathan; 19of Joiarib, Mattenai; of Jedaiah, Uzzi; 20of Sallai, Kallai; of Amok, Eber; 21of Hilkiah, Hashabiah; of Jedaiah, Nethanel. 22As for the Levites, in the days of Eliashib, Joiada, Johanan, and Jaddua, there were recorded the heads of ancestral houses; also the priests until the reign of Darius the Persian. 23The Levites, heads of ancestral houses, were recorded in the Book of the Annals until the days of Johanan son of Eliashib. 24And the leaders of the Levites: Hashabiah, Sherebiah, and Jeshua son of Kadmiel, with their associates over against them, to praise and to give thanks, according to the commandment of David the man of God, section opposite to section. 25Mattaniah, Bakbukiah, Obadiah, Meshullam, Talmon, and Akkub were gatekeepers standing guard at the storehouses of the gates. 26These were in the days of Joiakim son of Jeshua son of Jozadak, and in the days of the governor Nehemiah and of the priest Ezra, the scribe. 27Now at the dedication of the wall of Jerusalem they sought out the Levites in all their places, to bring them to Jerusalem to celebrate the dedication with rejoicing, with thanksgivings and with singing, with cymbals, harps, and lyres. 28The companies of the singers gathered together from the circuit around Jerusalem and from the villages of the Netophathites; 29also from Beth-gilgal and from the region of Geba and Azmaveth; for the singers had built for themselves villages around Jerusalem. 30And the priests and the Levites purified themselves; and they purified the people and the gates and the wall. 31Then I brought the leaders of Judah up onto the wall, and appointed two great companies that gave thanks and went in procession. One went to the right on the wall to the Dung Gate; 32and after them went Hoshaiah and half the officials of Judah, 33and Azariah, Ezra, Meshullam, 34Judah, Benjamin, Shemaiah, and Jeremiah, 35and some of the young priests with trumpets: Zechariah son of Jonathan son of Shemaiah son of Mattaniah son of Micaiah son of Zaccur son of Asaph; 36and his kindred, Shemaiah, Azarel, Milalai, Gilalai, Maai, Nethanel, Judah, and Hanani, with the musical instruments of David the man of God; and the scribe Ezra went in front of them. 37At the Fountain Gate, in front of them, they went straight up by the stairs of the city of David, at the ascent of the wall, above the house of David, to the Water Gate on the east. 38The other company of those who gave thanks went to the left, and I followed them with half of the people on the wall, above the Tower of the Ovens, to the Broad Wall, 39and above the Gate of Ephraim, and by the Old Gate, and by the Fish Gate and the Tower of Hananel and the Tower of the Hundred, to the Sheep Gate; and they came to a halt at the Gate of the Guard. 40So both companies of those who gave thanks stood in the house of God, and I and half of the officials with me; 41and the priests Eliakim, Maaseiah, Miniamin, Micaiah, Elioenai, Zechariah, and Hananiah, with trumpets; 42and Maaseiah, Shemaiah, Eleazar, Uzzi, Jehohanan, Malchijah, Elam, and Ezer. And the singers sang with Jezrahiah as their leader. 43They offered great sacrifices that day and rejoiced, for God had made them rejoice with great joy; the women and children also rejoiced. The joy of Jerusalem was heard far away. 44On that day men were appointed over the chambers for the stores, the contributions, the first fruits, and the tithes, to gather into them the portions required by the law for the priests and for the Levites from the fields belonging to the towns; for Judah rejoiced over the priests and the Levites who ministered. 45They performed the service of their God and the service of purification, as did the singers and the gatekeepers, according to the command of David and his son Solomon. 46For in the days of David and Asaph long ago there was a leader of the singers, and there were songs of praise and thanksgiving to God. 47In the days of Zerubbabel and in the days of Nehemiah all Israel gave the daily portions for the singers and the gatekeepers. They set apart that which was for the Levites; and the Levites set apart that which was for the descendants of Aaron. A wonderful hymn for a wonderful day! “O Day Full of Grace” was written by Nicholai F. S. Grundvig as “Den Signede Dag” in 1826. HERE it is, arranged by F. Melius Christiansen and sung by the Luther College Nordic Choir. may prove that the night is ending! which gloom from our hearts has driven. though earth with their praise were ringing. 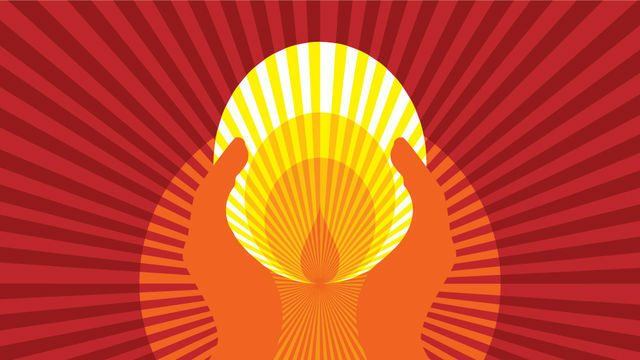 who light to our souls is bringing? for life that shall never perish. and hungering souls did nourish. with blest ones His praise forth telling. 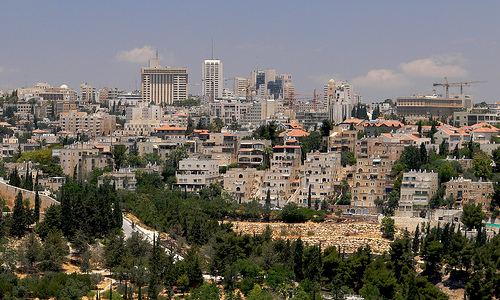 A panoramic view of the new city (as opposed to the Old City) of Jerusalem. The city’s population now is around 800,000. The exiles who returned were few in numbers compared to Jerusalem’s population in the days of the kings. And because the walls had been rebuilt on their original foundations, the city seemed sparsely populated. 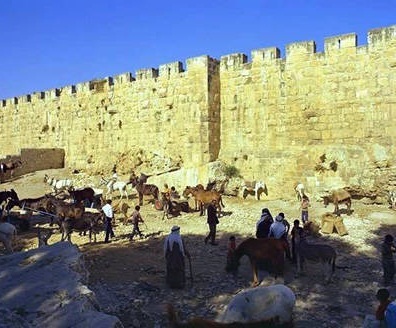 Nehemiah asked one-tenth of the people from the outlying areas to move inside the city walls to keep large areas of the city from being vacant. Apparently these people did not want to move into the city. 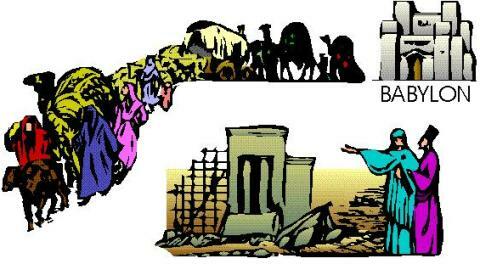 Only a few people volunteered, and Nehemiah cast lots to determine who among the remaining people would have to move. 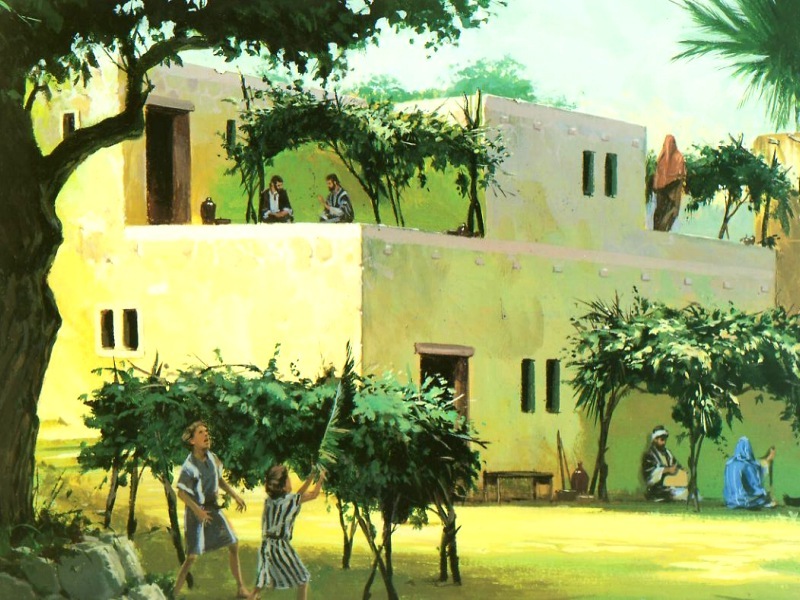 Many of them may not have wanted to live in the city because (1) non-Jews attached a stigma to Jerusalem residents, often excluding them from trade because of their religious beliefs; (2) moving into the city meant rebuilding their homes and reestablishing their businesses, a major investment of time and money; (3) living in Jerusalem required a stricter obedience to God’s word because of greater social pressure and proximity to the temple. 3These are the leaders of the province who lived in Jerusalem; but in the towns of Judah all lived on their property in their towns: Israel, the priests, the Levites, the temple servants, and the descendants of Solomon’s servants. 4And in Jerusalem lived some of the Judahites and of the Benjaminites. Of the Judahites: Athaiah son of Uzziah son of Zechariah son of Amariah son of Shephatiah son of Mahalalel, of the descendants of Perez; 5and Maaseiah son of Baruch son of Col-hozeh son of Hazaiah son of Adaiah son of Joiarib son of Zechariah son of the Shilonite. 6All the descendants of Perez who lived in Jerusalem were four hundred sixty-eight valiant warriors. 7And these are the Benjaminites: Sallu son of Meshullam son of Joed son of Pedaiah son of Kolaiah son of Maaseiah son of Ithiel son of Jeshaiah. 8And his brothers Gabbai, Sallai: nine hundred twenty-eight. 9Joel son of Zichri was their overseer; and Judah son of Hassenuah was second in charge of the city. 10Of the priests: Jedaiah son of Joiarib, Jachin, 11Seraiah son of Hilkiah son of Meshullam son of Zadok son of Meraioth son of Ahitub, officer of the house of God, 12and their associates who did the work of the house, eight hundred twenty-two; and Adaiah son of Jeroham son of Pelaliah son of Amzi son of Zechariah son of Pashhur son of Malchijah, 13and his associates, heads of ancestral houses, two hundred forty-two; and Amashsai son of Azarel son of Ahzai son of Meshillemoth son of Immer, 14and their associates, valiant warriors, one hundred twenty-eight; their overseer was Zabdiel son of Haggedolim. 15And of the Levites: Shemaiah son of Hasshub son of Azrikam son of Hashabiah son of Bunni; 16and Shabbethai and Jozabad, of the leaders of the Levites, who were over the outside work of the house of God; 17and Mattaniah son of Mica son of Zabdi son of Asaph, who was the leader to begin the thanksgiving in prayer, and Bakbukiah, the second among his associates; and Abda son of Shammua son of Galal son of Jeduthun. 18All the Levites in the holy city were two hundred eighty-four. 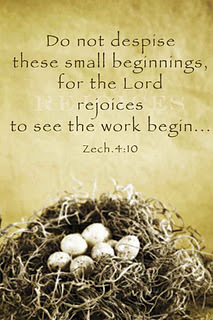 During these times of rebuilding the city, the prophet Zechariah spoke a question from God to the people: For who has despised the day of small things? (Zechariah 4:10). Of course, many of us have! But can we, like these Israelites, take a small thing and work cheerfully and diligently, with the help of the Holy Spirit, to build it for the kingdom of God? The Chinese have a similar proverb about starting small but starting at all: The journey of a thousand miles begins with a single step. And let’s not forget: Great oaks from little acorns grow. 19The gatekeepers, Akkub, Talmon and their associates, who kept watch at the gates, were one hundred seventy-two. 20And the rest of Israel, and of the priests and the Levites, were in all the towns of Judah, all of them in their inheritance. 21But the temple servants lived on Ophel; and Ziha and Gishpa were over the temple servants. 22The overseer of the Levites in Jerusalem was Uzzi son of Bani son of Hashabiah son of Mattaniah son of Mica, of the descendants of Asaph, the singers, in charge of the work of the house of God. 23For there was a command from the king concerning them, and a settled provision for the singers, as was required every day. 24And Pethahiah son of Meshezabel, of the descendants of Zerah son of Judah, was at the king’s hand in all matters concerning the people. 25And as for the villages, with their fields, some of the people of Judah lived in Kiriath-arba and its villages, and in Dibon and its villages, and in Jekabzeel and its villages, 26and in Jeshua and in Moladah and Beth-pelet, 27in Hazar-shual, in Beer-sheba and its villages, 28in Ziklag, in Meconah and its villages, 29in En-rimmon, in Zorah, in Jarmuth, 30Zanoah, Adullam, and their villages, Lachish and its fields, and Azekah and its villages. So they camped from Beer-sheba to the valley of Hinnom. 31The people of Benjamin also lived from Geba onward, at Michmash, Aija, Bethel and its villages, 32Anathoth, Nob, Ananiah, 33Hazor, Ramah, Gittaim, 34Hadid, Zeboim, Neballat, 35Lod, and Ono, the valley of artisans. 36And certain divisions of the Levites in Judah were joined to Benjamin. 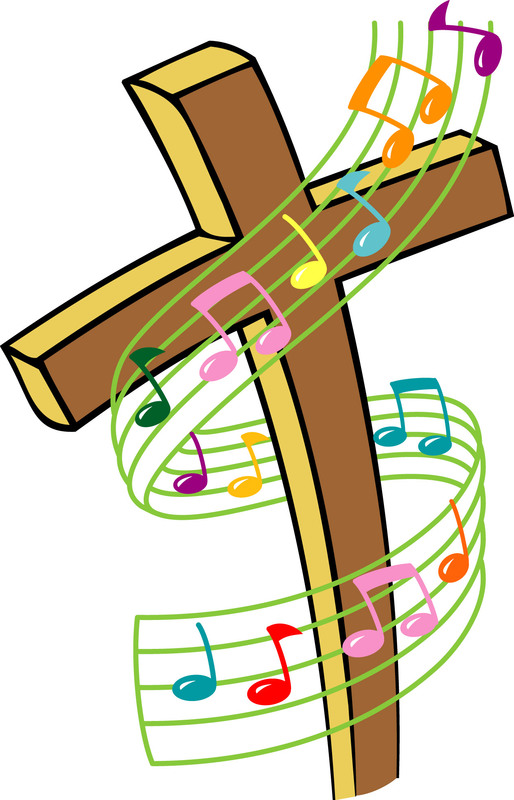 Sing to the Lord! 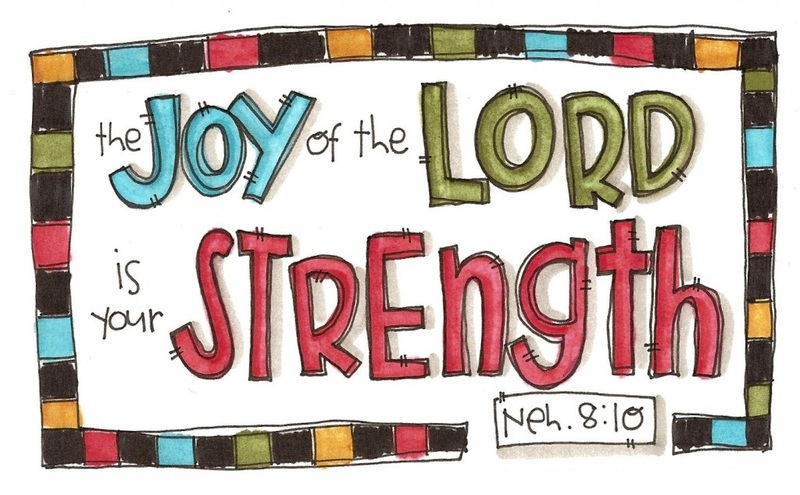 Scripture says it often, and we should make our joyful noises all day long! From October, 2010, HERE is a performance of the University of Nebraska—Lincoln’s University Singers, Dr. Peter Eklund, conductor, and “Exultate Deo” by Scarlatti. A signature on the right document — and the world changes! 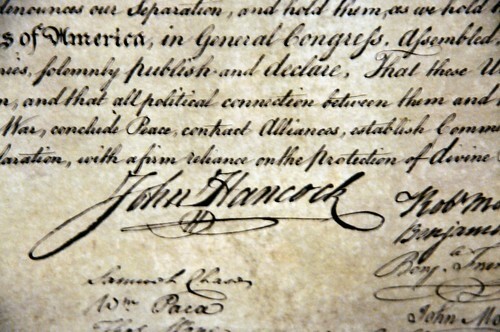 John Hancock signed the Declaration of Independence in 1776. Because of all this we make a firm agreement in writing, and on that sealed document are inscribed the names of our officials, our Levites, and our priests. Upon the sealed document are the names of Nehemiah the governor, son of Hacaliah, and Zedekiah; 2Seraiah, Azariah, Jeremiah, 3Pashhur, Amariah, Malchijah, 4Hattush, Shebaniah, Malluch, 5Harim, Meremoth, Obadiah, 6Daniel, Ginnethon, Baruch, 7Meshullam, Abijah, Mijamin, 8Maaziah, Bilgai, Shemaiah; these are the priests. 9And the Levites: Jeshua son of Azaniah, Binnui of the sons of Henadad, Kadmiel; 10and their associates, Shebaniah, Hodiah, Kelita, Pelaiah, Hanan, 11Mica, Rehob, Hashabiah, 12Zaccur, Sherebiah, Shebaniah, 13Hodiah, Bani, Beninu. Abraham Lincoln signed the Emancipation Proclamation in 1863. 14The leaders of the people: Parosh, Pahath-moab, Elam, Zattu, Bani, 15Bunni, Azgad, Bebai, 16Adonijah, Bigvai, Adin, 17Ater, Hezekiah, Azzur, 18Hodiah, Hashum, Bezai, 19Hariph, Anathoth, Nebai, 20Magpiash, Meshullam, Hezir, 21Meshezabel, Zadok, Jaddua, 22Pelatiah, Hanan, Anaiah, 23Hoshea, Hananiah, Hasshub, 24Hallohesh, Pilha, Shobek, 25Rehum, Hashabnah, Maaseiah, 26Ahiah, Hanan, Anan, 27Malluch, Harim, and Baanah. Golda Meir signed the Declaration of Independence for Israel in 1948. This is her signature in Hebrew. 28The rest of the people, the priests, the Levites, the gatekeepers, the singers, the temple servants, and all who have separated themselves from the peoples of the lands to adhere to the law of God, their wives, their sons, their daughters, all who have knowledge and understanding, 29join with their kin, their nobles, and enter into a curse and an oath to walk in God’s law, which was given by Moses the servant of God, and to observe and do all the commandments of the Lord our Lord and his ordinances and his statutes. They will not marry non-Jewish neighbors, for this has generally led to idolatry. 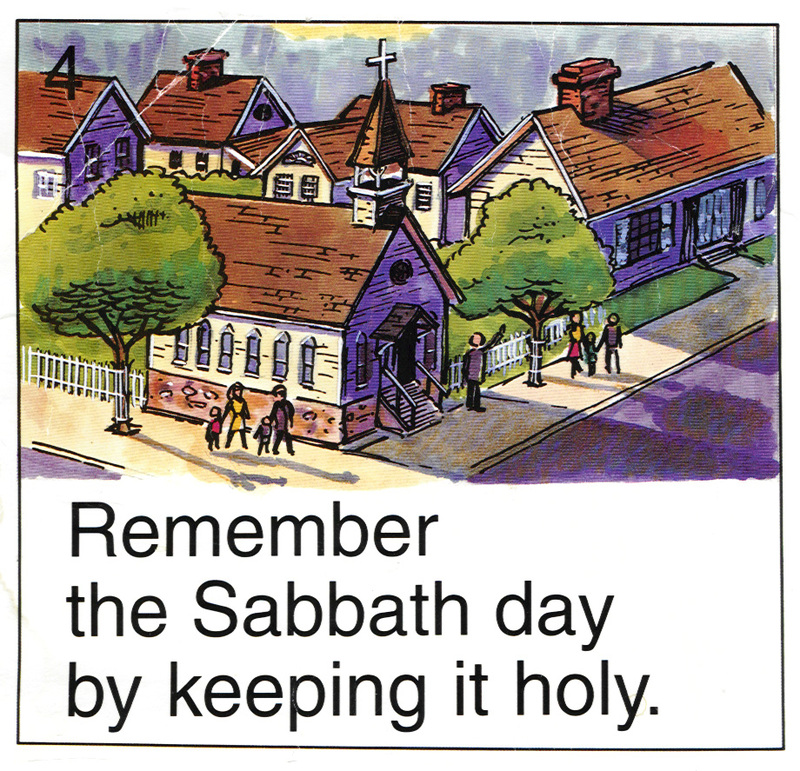 They will observe the Sabbath; six days is enough for work, and one day is set aside to refresh themselves in the Lord. and we will forego the crops of the seventh year and the exaction of every debt. They will observe every seventh year as a sabbath year, and all the land will lie fallow and all debts be forgiven. 32We also lay on ourselves the obligation to charge ourselves yearly one-third of a shekel for the service of the house of our God: 33for the rows of bread, the regular grain offering, the regular burnt offering, the sabbaths, the new moons, the appointed festivals, the sacred donations, and the sin offerings to make atonement for Israel, and for all the work of the house of our God. They will pay a temple tax; thanks to Ezra, their new temple had been rebuilt about 70 years earlier. 34We have also cast lots among the priests, the Levites, and the people, for the wood offering, to bring it into the house of our God, by ancestral houses, at appointed times, year by year, to burn on the altar of the Lord our God, as it is written in the law. They will supply wood for the burnt offerings in the temple. 35We obligate ourselves to bring the first fruits of our soil and the first fruits of all fruit of every tree, year by year, to the house of the Lord; 36also to bring to the house of our God, to the priests who minister in the house of our God, the firstborn of our sons and of our livestock, as it is written in the law, and the firstlings of our herds and of our flocks; 37and to bring the first of our dough, and our contributions, the fruit of every tree, the wine and the oil, to the priests, to the chambers of the house of our God; and to bring to the Levites the tithes from our soil, for it is the Levites who collect the tithes in all our rural towns. They will give dues and tithes to God in the temple, both to express their gratitude and to care for the priests. 38And the priest, the descendant of Aaron, shall be with the Levites when the Levites receive the tithes; and the Levites shall bring up a tithe of the tithes to the house of our God, to the chambers of the storehouse. 39For the people of Israel and the sons of Levi shall bring the contribution of grain, wine, and oil to the storerooms where the vessels of the sanctuary are, and where the priests that minister, and the gatekeepers and the singers are. We will not neglect the house of our God. After too many years of disobedience and exile, the people finally step up to their responsibility to obey God and keep the Law. We repent . . . we confess . . . we are sorry . . .
After the wall was completed, after the wall was working, after the people had heard and obeyed God’s Word, after the Holy Spirit was doing a significant work in the lives of people — now there is a scene of dramatic, humble repentance. All of this reflects a humble attitude of heart — humble not only towards God, but also humble towards man. They did this publicly, and others would see them in this public state. 2Then those of Israelite descent separated themselves from all foreigners, and stood and confessed their sins and the iniquities of their ancestors. 3They stood up in their place and read from the book of the law of the Lord their God for a fourth part of the day, and for another fourth they made confession and worshiped the Lord their God. 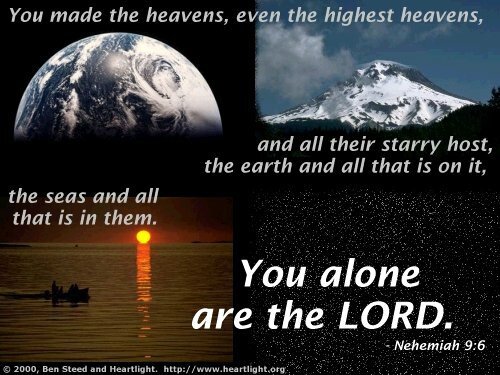 6And Ezra said: “You are the Lord, you alone; you have made heaven, the heaven of heavens, with all their host, the earth and all that is on it, the seas and all that is in them. To all of them you give life, and the host of heaven worships you. 7You are the Lord, the God who chose Abram and brought him out of Ur of the Chaldeans and gave him the name Abraham; 8and you found his heart faithful before you, and made with him a covenant to give to his descendants the land of the Canaanite, the Hittite, the Amorite, the Perizzite, the Jebusite, and the Girgashite; and you have fulfilled your promise, for you are righteous. 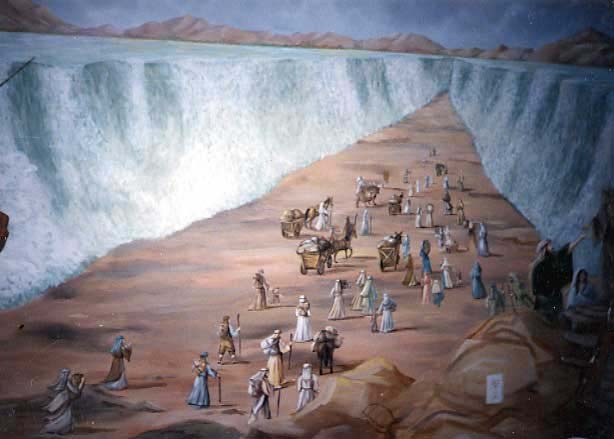 9“And you saw the distress of our ancestors in Egypt and heard their cry at the Red Sea. 10You performed signs and wonders against Pharaoh and all his servants and all the people of his land, for you knew that they acted insolently against our ancestors. You made a name for yourself, which remains to this day. 11And you divided the sea before them, so that they passed through the sea on dry land, but you threw their pursuers into the depths, like a stone into mighty waters. 12Moreover, you led them by day with a pillar of cloud, and by night with a pillar of fire, to give them light on the way in which they should go. 13You came down also upon Mount Sinai, and spoke with them from heaven, and gave them right ordinances and true laws, good statutes and commandments, 14and you made known your holy sabbath to them and gave them commandments and statutes and a law through your servant Moses. 15For their hunger you gave them bread from heaven, and for their thirst you brought water for them out of the rock, and you told them to go in to possess the land that you swore to give them. 19you in your great mercies did not forsake them in the wilderness; the pillar of cloud that led them in the way did not leave them by day, nor the pillar of fire by night that gave them light on the way by which they should go. 20You gave your good spirit to instruct them, and did not withhold your manna from their mouths, and gave them water for their thirst. 21Forty years you sustained them in the wilderness so that they lacked nothing; their clothes did not wear out and their feet did not swell. 22“And you gave them kingdoms and peoples, and allotted to them every corner, so they took possession of the land of King Sihon of Heshbon and the land of King Og of Bashan. 23You multiplied their descendants like the stars of heaven, and brought them into the land that you had told their ancestors to enter and possess. 24So the descendants went in and possessed the land, and you subdued before them the inhabitants of the land, the Canaanites, and gave them into their hands, with their kings and the peoples of the land, to do with them as they pleased. 25And they captured fortress cities and a rich land, and took possession of houses filled with all sorts of goods, hewn cisterns, vineyards, olive orchards, and fruit trees in abundance; so they ate, and were filled and became fat, and delighted themselves in your great goodness. My mother used to play a game with my siblings called “Count Your Blessings.” As we were working in the kitchen, or the garden, or driving along, we would mention gifts from the Lord and “name them one by one.” She encouraged us to think of things that usually we take for granted. So I remember praising God that he made us so we could see color, not just black and white — and that we could read — and that all those musicians had practiced their instruments when they were children, and all those adults had learned how to make recordings, and all those technical folks had learned how to send sound waves out through the air, all so that we could listen to music on the radio in the car! Only recently I learned that this is an old Jewish custom — to praise the Lord for specific things all through the day. “Blessed is He who is good, and gives us good gifts!” Perhaps, had the families in Israel been keeping this habit, they would have been more thankful — and more faithful. 26“Nevertheless they were disobedient and rebelled against you and cast your law behind their backs and killed your prophets, who had warned them in order to turn them back to you, and they committed great blasphemies. 27Therefore you gave them into the hands of their enemies, who made them suffer. Then in the time of their suffering they cried out to you and you heard them from heaven, and according to your great mercies you gave them saviors who saved them from the hands of their enemies. 28“But after they had rest, they again did evil before you, and you abandoned them to the hands of their enemies, so that they had dominion over them; yet when they turned and cried to you, you heard from heaven, and many times you rescued them according to your mercies. 29“And you warned them in order to turn them back to your law. Yet they acted presumptuously and did not obey your commandments, but sinned against your ordinances, by the observance of which a person shall live. They turned a stubborn shoulder and stiffened their neck and would not obey. 30Many years you were patient with them, and warned them by your spirit through your prophets; yet they would not listen. Therefore you handed them over to the peoples of the lands. 31Nevertheless, in your great mercies you did not make an end of them or forsake them, for you are a gracious and merciful God. HERE is “Agnus Dei” from Mozart’s Coronation Mass in C Major, Emma Kirby singing. 38Because of all this we make a firm agreement in writing, and on that sealed document are inscribed the names of our officials, our Levites, and our priests. all the people gathered together into the square before the Water Gate. They told the scribe Ezra to bring the book of the law of Moses, which the Lord had given to Israel. Ezra, a scribe who copied God’s law and a priest who devoted himself to God, was the man responsible for having the temple rebuilt, and for returning God’s people to worship. Nehemiah, in all his work of rebuilding the walls, just carried on the work Ezra had begun. 2Accordingly, the priest Ezra brought the law before the assembly, both men and women and all who could hear with understanding. This was on the first day of the seventh month. 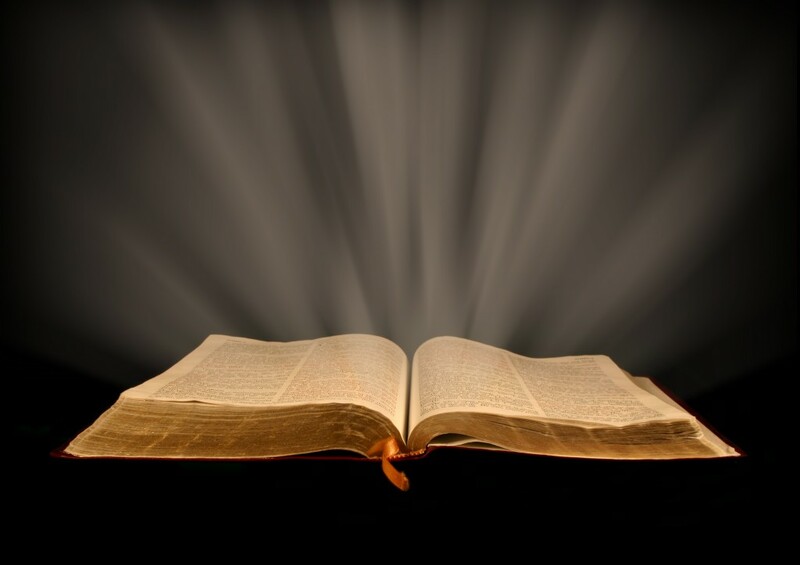 3He read from it facing the square before the Water Gate from early morning until midday, in the presence of the men and the women and those who could understand; and the ears of all the people were attentive to the book of the law. For some six hours they listened to the Word of God. They had taken the time to build a wooden platform so the Word of God could be heard. They did practical things so God’s Word would have the greatest effect. There are practical things we can do also to help God’s Word have the greatest effect; when a room is comfortable, low in distractions, and the preacher/teacher is clearly heard, it helps God’s Word have the greatest effect. But by far, the greatest preparation must happen in the heart. We must come, willing to forget about ourselves and our own agenda, and submit ourselves to God’s Word – not the preacher’s word, but God’s Word. and beside him stood Mattithiah, Shema, Anaiah, Uriah, Hilkiah, and Maaseiah on his right hand; and Pedaiah, Mishael, Malchijah, Hashum, Hash-baddanah, Zechariah, and Meshullam on his left hand. 5And Ezra opened the book in the sight of all the people, for he was standing above all the people; and when he opened it, all the people stood up. 6Then Ezra blessed the Lord, the great God, and all the people answered, “Amen, Amen,” lifting up their hands. Then they bowed their heads and worshiped the Lord with their faces to the ground. This work of the Word of God and the Spirit of God had three immediate results. Thanksgiving, prayer, and praise are all good measures of how the Spirit of God and Word of God are working in us. 7Also Jeshua, Bani, Sherebiah, Jamin, Akkub, Shabbethai, Hodiah, Maaseiah, Kelita, Azariah, Jozabad, Hanan, Pelaiah, the Levites, helped the people to understand the law, while the people remained in their places. 8So they read from the book, from the law of God, with interpretation. They gave the sense, so that the people understood the reading. Oh, that we might have such teachers of God’s Word! Oh, that we might be such willing students of God’s Word! 9And Nehemiah, who was the governor, and Ezra the priest and scribe, and the Levites who taught the people said to all the people, “This day is holy to the Lord your God; do not mourn or weep.” For all the people wept when they heard the words of the law. 12And all the people went their way to eat and drink and to send portions and to make great rejoicing, because they had understood the words that were declared to them. Though weeping is necessary, it is not the final message God has for us. To show this, Nehemiah and Ezra speak up and correct the people. What a powerful statement of the effect of the Word of God! When people understand it, it brings joy. 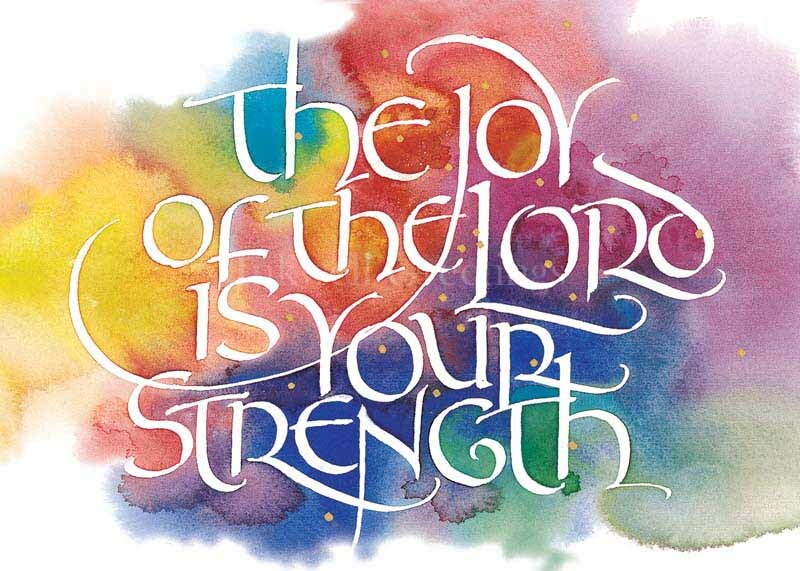 The joy of the LORD is your strength. What a great word for grieving people who see the evil in their lives and the lives of those around them and mourn over what it has produced! The word that brings joy is that of forgiveness. God can forgive! He does, and He will restore. That is what Jesus meant when He said, Blessed are those who mourn, for they will be comforted (Matthew 5:4). I don’t think you will ever be comforted until you learn to mourn. When you see the hurt, pain, and despair that sin can produce and you grieve over it, then you are ready for the comfort of forgiveness. 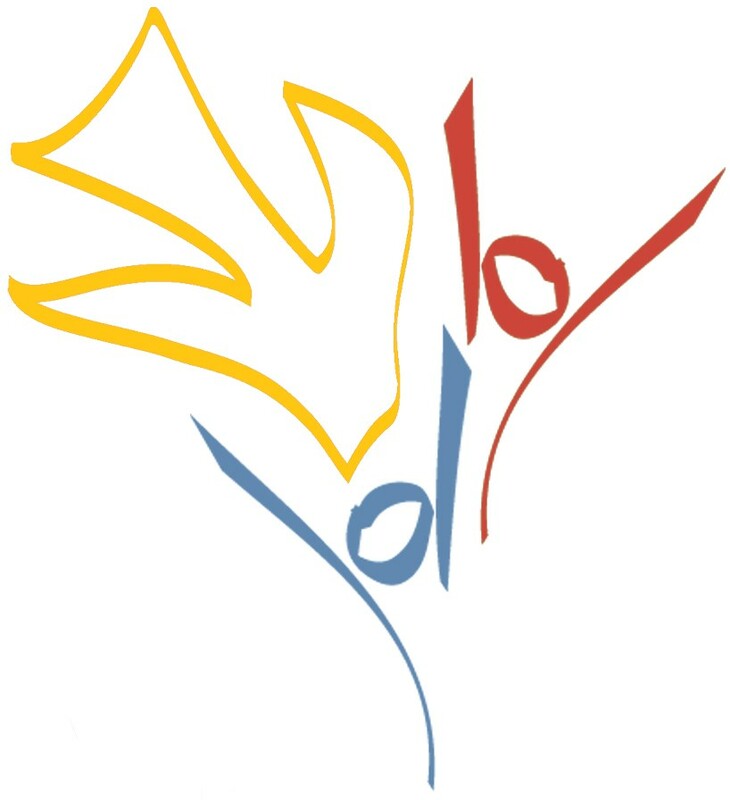 What does the joy of the LORD mean? It is the fact that God has found a solution to these problems of sin. He has provided a way back to sensible, sober, wise, helpful, wholesome living. How? By learning to think like He thinks. Begin to see the world from His point of view. Listen no longer to the clamoring voices of the media. Do not take your philosophy of life from what people are saying or the advice others are giving. Listen to the Word of God. That is the answer. It will heal your life. He sent forth his word and healed them, writes the psalmist (Psalm 107:20). The ministry of the Word of God is to heal us and create in us a desire to share that healing with others. Nehemiah urges the people to send portions of food to those who had nothing prepared. This is invariably the result in those who find their lives beginning to be healed by the Word of God. They start thinking of others who are hurting and want to share with them what they have learned. 16So the people went out and brought them, and made booths for themselves, each on the roofs of their houses, and in their courts and in the courts of the house of God, and in the square at the Water Gate and in the square at the Gate of Ephraim. 17And all the assembly of those who had returned from the captivity made booths and lived in them; for from the days of Jeshua son of Nun to that day the people of Israel had not done so. And there was very great rejoicing. 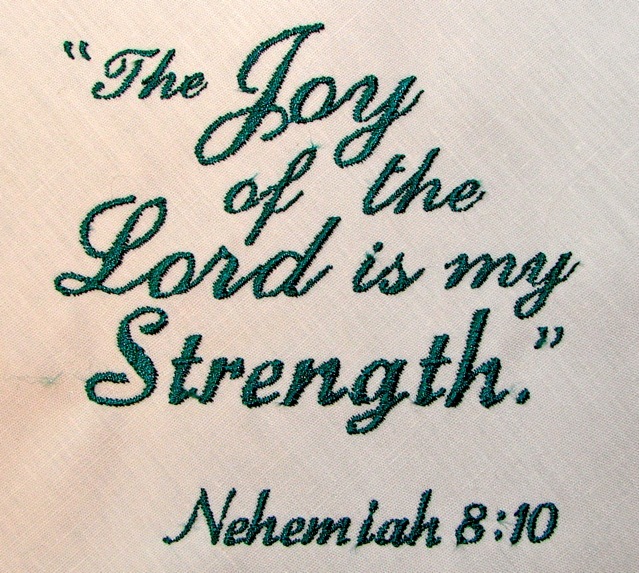 After Nehemiah said The joy of the Lord is your strength, the people suddenly remembered Leviticus 23:39-43: Ye shall take . . . the boughs of goodly trees . . . and ye shall rejoice before the Lord. That was the commandment, such a happy one. So they gathered branches, and made booths on their roofs (what fun for the children), and they sat in these green booths and rejoiced before the Lord for seven happy days. And there was very great gladness. Our God will do glorious things if only we let Him have His way in us. He is a God of Joy, and He loves us to be happy. Perhaps one of the secrets of happiness is found in the very next verse, Nehemiah 8:18: Also day by day, from the first day unto the last day, he read in the book of the law of God. Can we say with Jeremiah (15:6), Thy word was unto me the joy and rejoicing of my heart; for truly I am called by Thy Name, O Lord God of Hosts! 18And day by day, from the first day to the last day, he read from the book of the law of God. They kept the festival seven days; and on the eighth day there was a solemn assembly, according to the ordinance. In the Christian life and in the church, there is a time to work and then there is a time to celebrate. There is a time to work for the gospel of the Lord and then there is a time to meditate on the goodness of the Lord. We do well to remember God’s faithfulness in the past, to cherish God’s blessings in our present, and to anticipate God’s goodness to come. Truly, if we think on these things — how great will be our joy! HERE is “The joy of the Lord” by Twila Paris. Even today, we are “surrounded by mercy and grace”! The singers and the Levites were there to lead the people in worship. We do well to remember that the walls were not rebuilt so the people of Jerusalem could look at nice walls. They were rebuilt so they could worship God with greater glory and freedom than ever before. 2I gave my brother Hanani charge over Jerusalem, along with Hananiah the commander of the citadel—for he was a faithful man and feared God more than many. Nehemiah’s brother was the one who first told him about the sad state of affairs in Jerusalem (Nehemiah 1:2). His initiative and concern made him well qualified to govern. 3And I said to them, “The gates of Jerusalem are not to be opened until the sun is hot; while the gatekeepers are still standing guard, let them shut and bar the doors. Appoint guards from among the inhabitants of Jerusalem, some at their watch posts, and others before their own houses.” 4The city was wide and large, but the people within it were few and no houses had been built. Security had to be high since the people were few, so the gates of the city were opened late and closed early. This genealogical record is nearly identical to the list found in Ezra 2. Perhaps Nehemiah found Ezra’s list? 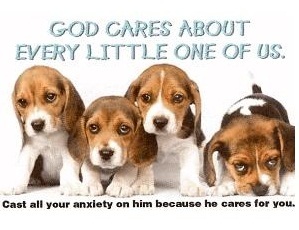 Anyway, unless you are looking for an unusual name for a child or a pet, you can read the next verses quickly! 6These are the people of the province who came up out of the captivity of those exiles whom King Nebuchadnezzar of Babylon had carried into exile; they returned to Jerusalem and Judah, each to his town. 7They came with Zerubbabel, Jeshua, Nehemiah, Azariah, Raamiah, Nahamani, Mordecai, Bilshan, Mispereth, Bigvai, Nehum, Baanah. The number of the Israelite people: 8the descendants of Parosh, two thousand one hundred seventy-two. 9Of Shephatiah, three hundred seventy-two. 10Of Arah, six hundred fifty-two. 11Of Pahath-moab, namely the descendants of Jeshua and Joab, two thousand eight hundred eighteen. 12Of Elam, one thousand two hundred fifty-four. 13Of Zattu, eight hundred forty-five. 14Of Zaccai, seven hundred sixty. 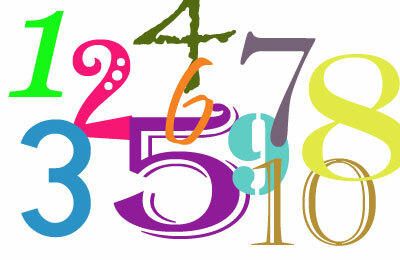 15Of Binnui, six hundred forty-eight. 16Of Bebai, six hundred twenty-eight. 17Of Azgad, two thousand three hundred twenty-two. 18Of Adonikam, six hundred sixty-seven. 19Of Bigvai, two thousand sixty-seven. 20Of Adin, six hundred fifty-five. 21Of Ater, namely of Hezekiah, ninety-eight. 22Of Hashum, three hundred twenty-eight. 23Of Bezai, three hundred twenty-four. 24Of Hariph, one hundred twelve. 25Of Gibeon, ninety-five. 26The people of Bethlehem and Netophah, one hundred eighty-eight. 27Of Anathoth, one hundred twenty-eight. 28Of Beth-azmaveth, forty-two. 29Of Kiriath-jearim, Chephirah, and Beeroth, seven hundred forty-three. 30Of Ramah and Geba, six hundred twenty-one. 31Of Michmas, one hundred twenty-two. 32Of Bethel and Ai, one hundred twenty-three. 33Of the other Nebo, fifty-two. 34The descendants of the other Elam, one thousand two hundred fifty-four. 35Of Harim, three hundred twenty. 36Of Jericho, three hundred forty-five. 37Of Lod, Hadid, and Ono, seven hundred twenty-one. 38Of Senaah, three thousand nine hundred thirty. 39The priests: the descendants of Jedaiah, namely the house of Jeshua, nine hundred seventy-three. 40Of Immer, one thousand fifty-two. 41Of Pashhur, one thousand two hundred forty-seven. 42Of Harim, one thousand seventeen. 43The Levites: the descendants of Jeshua, namely of Kadmiel of the descendants of Hodevah, seventy-four. 44The singers: the descendants of Asaph, one hundred forty-eight. 45The gatekeepers: the descendants of Shallum, of Ater, of Talmon, of Akkub, of Hatita, of Shobai, one hundred thirty-eight. 46The temple servants: the descendants of Ziha, of Hasupha, of Tabbaoth, 47of Keros, of Sia, of Padon, 48of Lebana, of Hagaba, of Shalmai, 49of Hanan, of Giddel, of Gahar, 50of Reaiah, of Rezin, of Nekoda, 51of Gazzam, of Uzza, of Paseah, 52of Besai, of Meunim, of Nephushesim, 53of Bakbuk, of Hakupha, of Harhur, 54of Bazlith, of Mehida, of Harsha, 55of Barkos, of Sisera, of Temah, 56of Neziah, of Hatipha. 57The descendants of Solomon’s servants: of Sotai, of Sophereth, of Perida, 58of Jaala, of Darkon, of Giddel, 59of Shephatiah, of Hattil, of Pochereth-hazzebaim, of Amon. 60All the temple servants and the descendants of Solomon’s servants were three hundred ninety-two. 61The following were those who came up from Tel-melah, Tel-harsha, Cherub, Addon, and Immer, but they could not prove their ancestral houses or their descent, whether they belonged to Israel: 62the descendants of Delaiah, of Tobiah, of Nekoda, six hundred forty-two. 63Also, of the priests: the descendants of Hobaiah, of Hakkoz, of Barzillai (who had married one of the daughters of Barzillai the Gileadite and was called by their name). 64These sought their registration among those enrolled in the genealogies, but it was not found there, so they were excluded from the priesthood as unclean; 65the governor told them that they were not to partake of the most holy food, until a priest with Urim and Thummim should come. Only through genealogies could a person prove he was a descendant of Abraham and thus a true Jew, or a descendant of Aaron and thus able to be a priest. In cases where there were questions, a priest could use the Urim and Thummim (a means of learning God’s will) and determine the answer. 66The whole assembly together was forty-two thousand three hundred sixty (42,360), 67besides their male and female slaves, of whom there were seven thousand three hundred thirty-seven; and they had two hundred forty-five singers, male and female. 68They had seven hundred thirty-six horses, two hundred forty-five mules, 69four hundred thirty-five camels, and six thousand seven hundred twenty donkeys. 70Now some of the heads of ancestral houses contributed to the work. The governor gave to the treasury one thousand darics of gold, fifty basins, and five hundred thirty priestly robes. 71And some of the heads of ancestral houses gave into the building fund twenty thousand darics of gold and two thousand two hundred minas of silver. 72And what the rest of the people gave was twenty thousand darics of gold, two thousand minas of silver, and sixty-seven priestly robes. 73So the priests, the Levites, the gatekeepers, the singers, some of the people, the temple servants, and all Israel settled in their towns. This list was important because each of these people were important to God, in that they did what so few of their fellow Jews did –- they took the trouble to return back to the promised land after they had already set down roots for seventy years in the Babylonian empire. These are people who had a pioneer spirit; they were willing to endure hardship and discomfort, because they had a call from God that was more important than their own comfort. Life was easier in Babylon, but it was better in Jerusalem! In this list several things were important. Who the people were was important (specific names were mentioned). 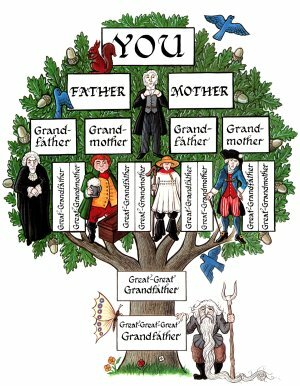 What families they came from was important (many family heads are named). 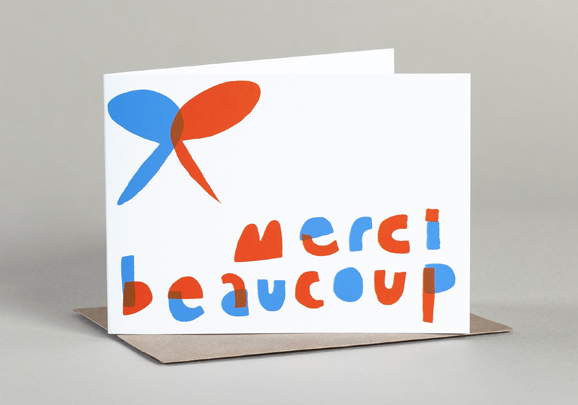 Their gifts to support the work were important (they are specifically listed towards the end of the chapter). This list flows beautifully after the completion of the work, because it reminds us that the work was really all about these people. HERE is an old gospel song. “I’ll go where you want me to go, dear Lord” was written by Mary M. Brown, a single school teacher in New England who died in 1918. She was well-loved for her dedication to her pupils and her community. A member of the Baptist church, she belonged to the Ladies’ Aid Society and the Mission Circle. Like all these persons listed above, she bloomed where the Lord planted her!